This £12m project, currently under construction in Guildford, involves the complete redevelopment of Building 2 at Guildford Business Park. 2TECK have supplied and installed a complete Daikin Heat Recovery system, an innovative solution that reuses energy more efficiently for heating, cooling and hot water production. Daikin’s Variable Refrigerant Technology automatically adapts for optimal user comfort, and increases seasonal efficiency by up to 28% when compared to other solutions. 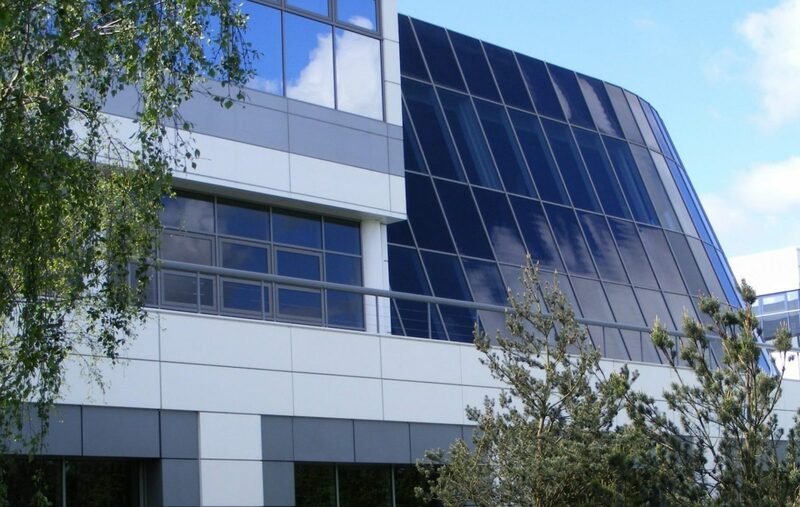 Consisting of over 200 concealed ceiling units spread over 4 floors of open plan office space the integrated Daikin Altherma systems provide highly energy efficient hot water production powered by 65% renewable energy and achieves an impressive A+ energy efficiency label. Daikin’s Intelligent Touch Manager, connected to the Building Management System, consolidates all of the climate control units into one user friendly control system. Controlling the heating, cooling, hot water, and ventilation from the same interface is simple and the flexible software solution is future proofed by enabling easy 3rd party integrations, meaning that you can also control your lights, alarms, sensors, elevators and more as required. The web interface gives the user complete control of connected building services from any location via a touchscreen interface or remotely via an internet connection. Final commissioning is due March 2018. Do you have a similar project ? Contact us here.